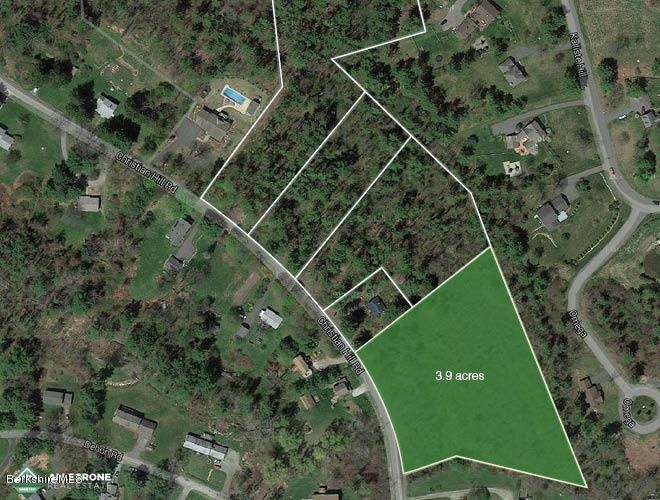 Prime Christian Hill Road parcel with tree lined views. This property has the convenience of a short, scenic drive away from the center of Great Barrington and Housatonic. Privacy is the essence; an acre of woods separates you from your neighbors, with no traffic to drown out the sound of nature.This is one of three gorgeous pieces of land available and well-priced with town water and sewer.